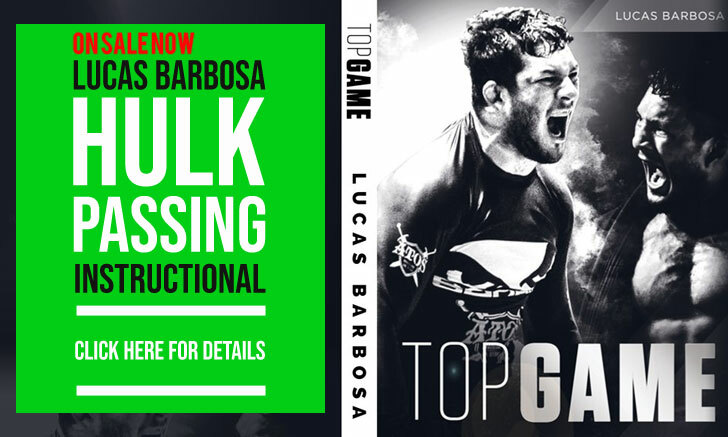 Lucas Barbosa, commonly known as Lucas “Hulk”, is a Brazilian jiu-jitsu black belt under André Fabiano, who became known among the mainstream grappling community competing for Márcio Rodrigues‘ team. Lucas Hulk’s breakthrough in the sport occurred in 2014 after his dominating performances throughout the “THE TEAM” episodes, a web-based show produced by Copa Pódio in which he participated as a member of Leandro Lo‘s squad. 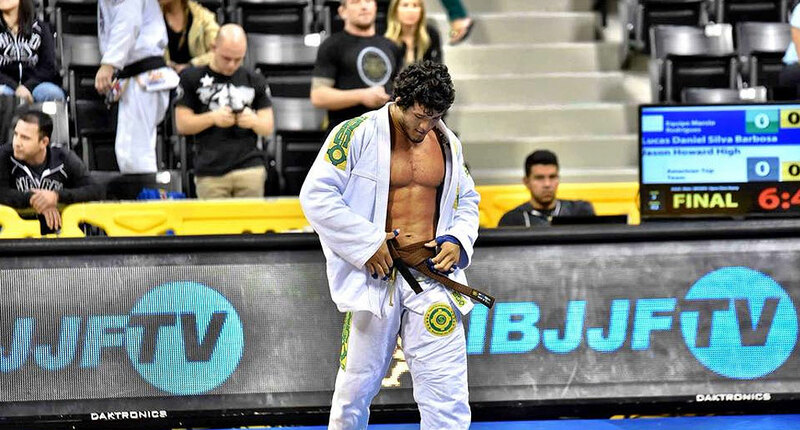 Lucas Barbosa’s talent was later cemented with wins at the IBJJF’s World Championships and Brazilian Nationals in the brown belt division. Nickname: “Hulk”. When Lucas moved to Rio de Janeiro to follow his dream of becoming a professional jiu-jitsu competitor, his training partners called him Hulk, due to his exceptional physical abilities. Particularly his throwing and pressure passing prowess. Lucas Daniel Barbosa was born on the 13th of February 1992 in Boa Vista, State of Roraima – Brazil. Being introduced to sports from a young age due to his parent’s influence, Lucas practiced a wide range of activities such as swimming, basketball, and volleyball. Martial arts became part of Barbosa’s life at the age of 10, through taekwondo. Judo and Thai boxing were also added at a later stage. 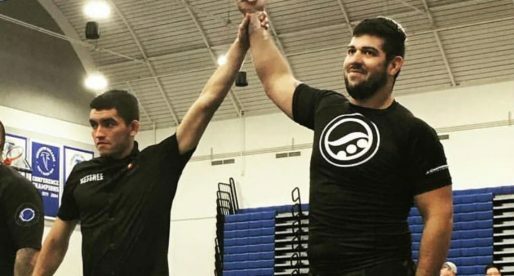 In 2007, at 15 years of age, Lucas Barbosa initiated his jiu-jitsu career while on holiday at his godfather’s house, who already practiced this martial art. Hulk’s first sessions being taught by Diego Lopes. 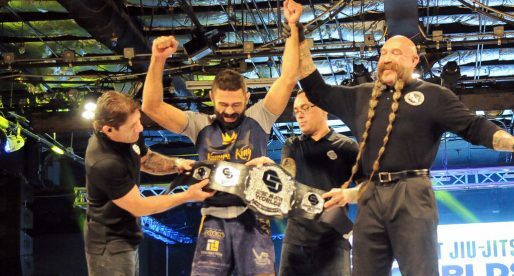 Through the years, Lucas learned the jiu-jitsu trade from various different coaches, including Cristiano Carioca (who awarded him his blue belt), and André Fabiano who was an important figure in Barbosa’s development as a competitor. As a purple belt, Lucas decided he wanted to pursue a career in the sport. For that purpose he moved to Rio de Janeiro, finding in coach Márcio Rodrigues his mentor. Hulk became a member of Rodrigues’ training center, living at the fighter house and solely focussed on his sporting activities. Lucas Hulk earned his brown belt in a combined effort from André Fabiano and Márcio Rodrigues. It was as a brown belt that his grappling career truly took off. One of the events that helped propel Barbosa’s name on a national level was his involvement with “THE TEAM” in 2014, a web series developed by Copa Podio to find a challenger for their 3rd Season event. Lucas was on fire throughout the tournament based show, making his way to the pay per view later that year. After earning important international titles in the sport as a brown belt, Lucas was awarded his black belt by André Fabiano on the 7th of July, 2015. He would move to California later that year to become part of Atos Jiu Jitsu and be closer to the main tournaments in the IBJJF calendar. 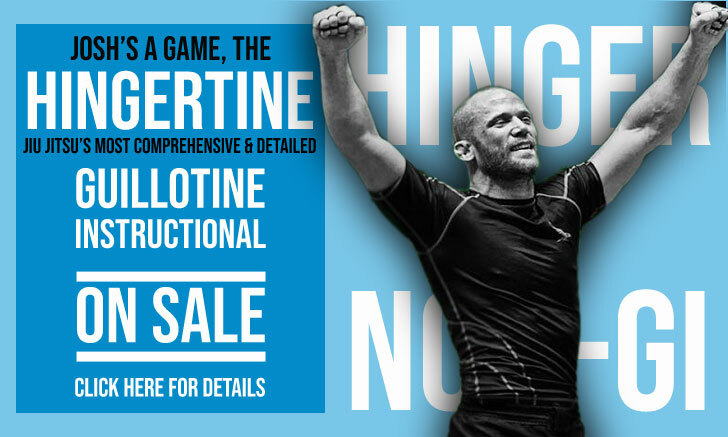 Cover photo captured by Grapple TV.